Then, tap the Options button in the top-right corner. 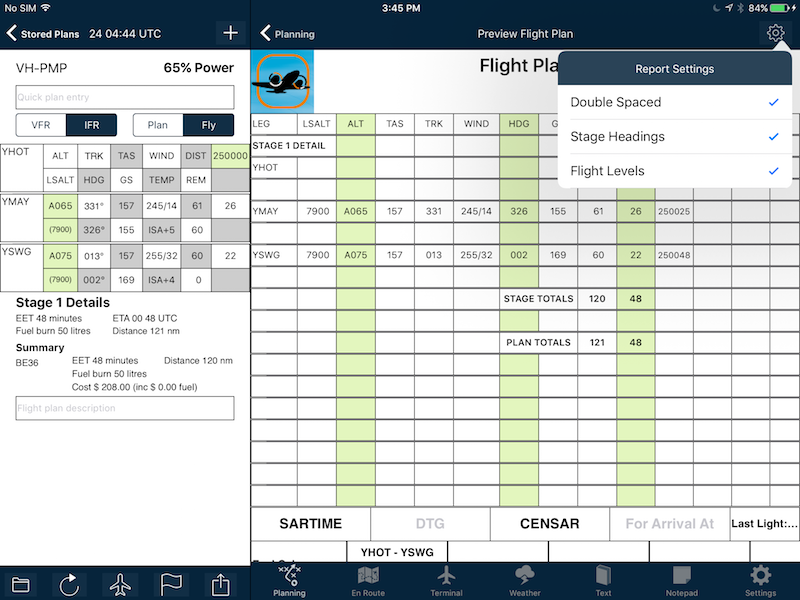 Adds a space between each leg within the flight plan. This could allow you to add your own figures, or notes to the legs using pen or pencil. Adds an extra line with a clear subheading outlining the beginning of each stage (Look for “STAGE # DETAIL”). An excellent option if you plan multi-stage flights. 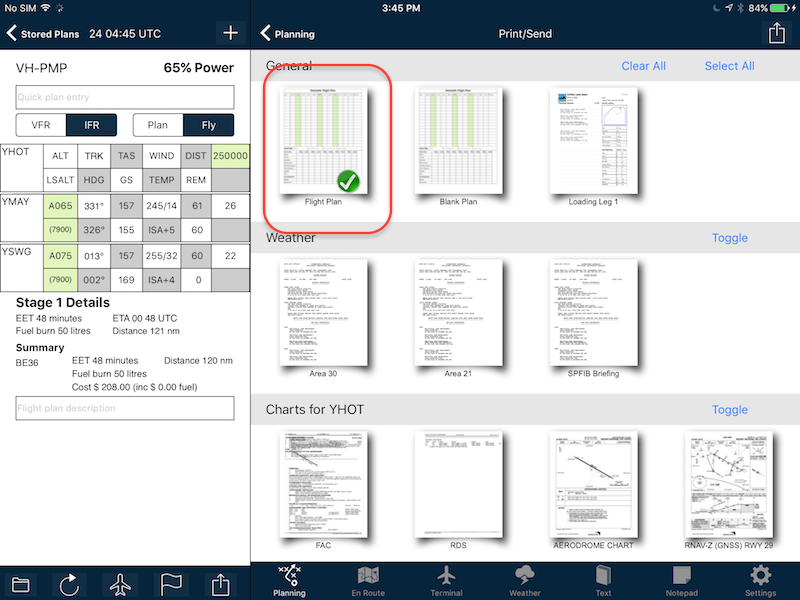 This option toggles between expressing your planned altitude as a raw number or as a flight level (e.g. 25000 feet would be expressed as F250, or 7500 feet would be A075). 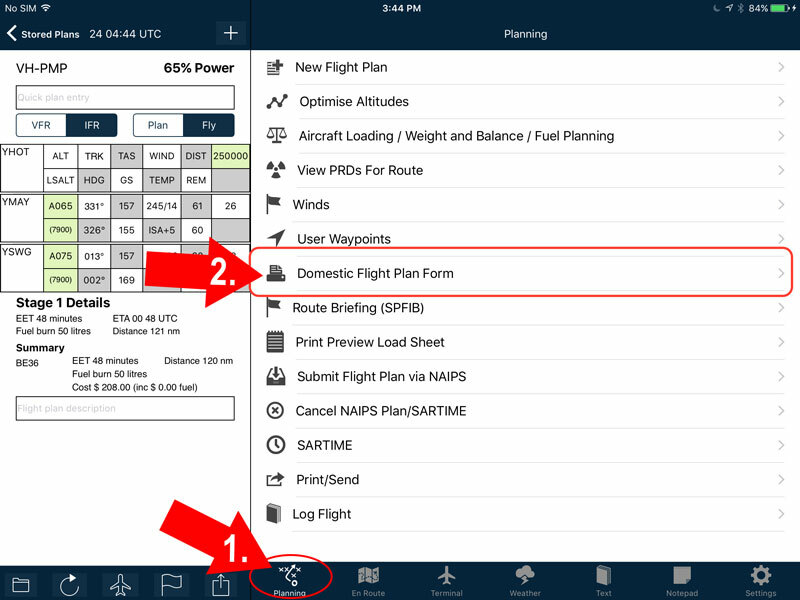 Once you’ve been in and set these options to your requirements, AvPlan EFB will remember them for future flight plans. No need to change them each time! 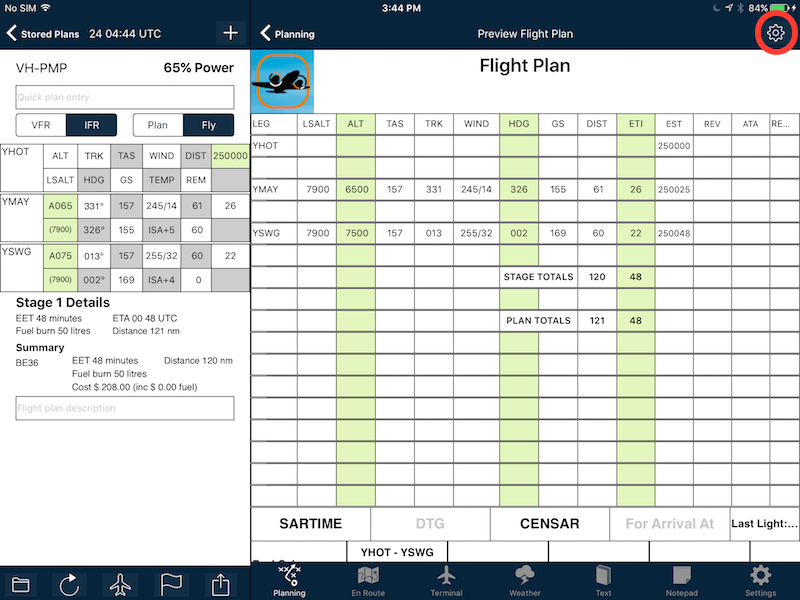 To then print your flight plan, tap Planning > Print/Send. 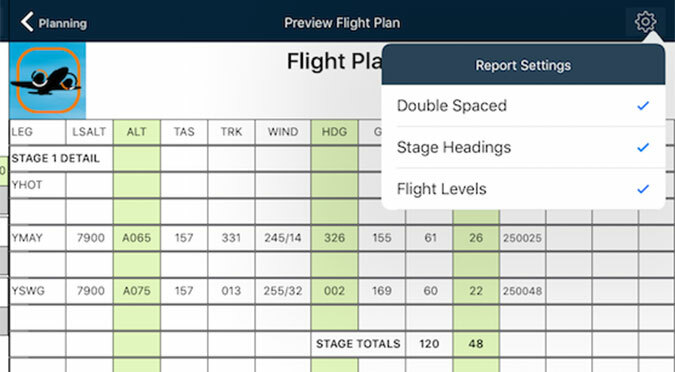 Make sure at least the Flight Plan is selected with a green tick, then tap the send button in the top right hand corner to send to printer or create an email with the flight plan attached as a PDF document (which you can email to yourself, open on your desktop computer and print from there).